He did it! 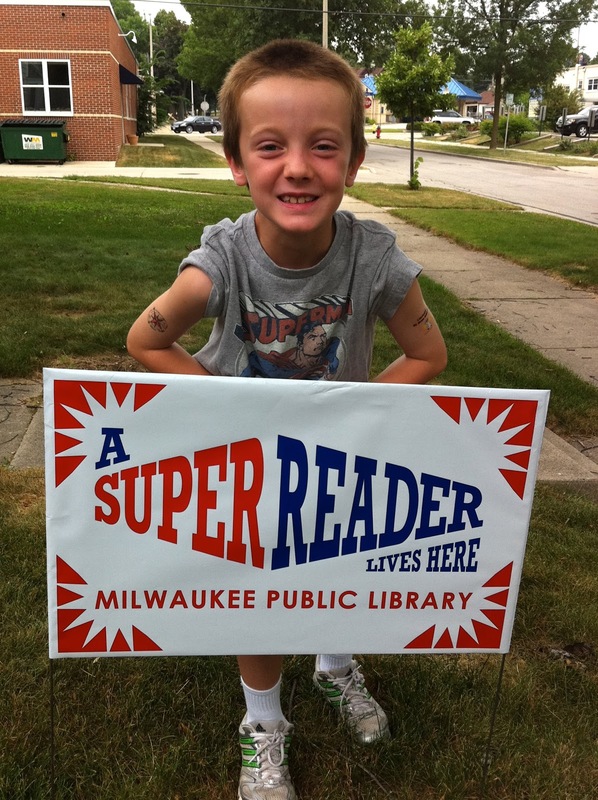 This sign (along with the other swag he received) represents 18 hours of summer reading. He also got a second tattoo, hence his muscle man pose, which is again one of the coolest things he was awarded. So proud of my naptime reading buddy! Of course now the girls are REALLY wanting a sign of their own! love everything about this! muscle man pose ... proud reader ... big smile! I'm with Tracie - everything about this photo is awesome. Congrats Jack! I didn't notice he was wearing a Superman shirt the day he got his Super-reader sign. I assume that was intentional. Very nice!